Be back soon… | Turning my world upside down! Going for a bike ride in Key West. There is lots to see and the sun is shining. I’ll be back online when I have to sit inside because of the cold weather. 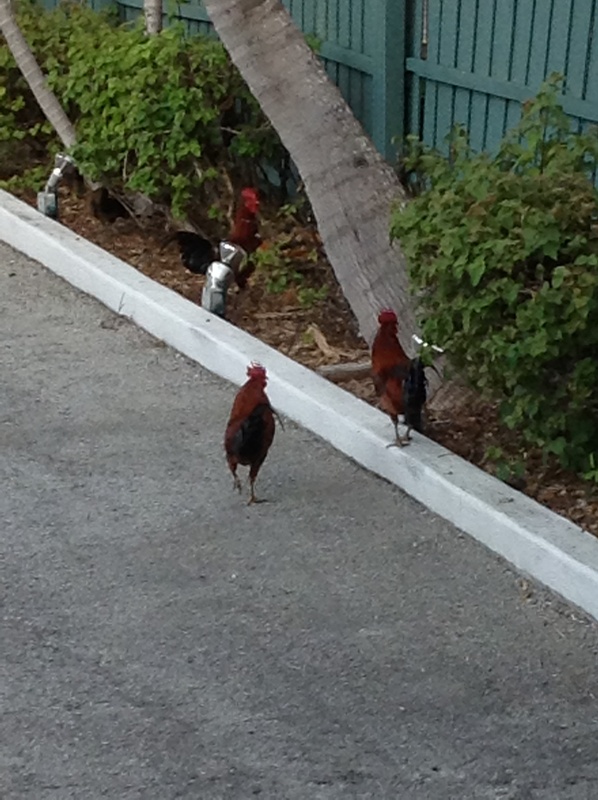 In the meantime, here’s a picture of the Key West roosters. They are everywhere! No, Nicole. I meant I will sit inside back at home in Canada where it’s cold. I don’t want to miss a minute of Florida sunshine! Key West is not cold! Alaska is cold! Have fun!